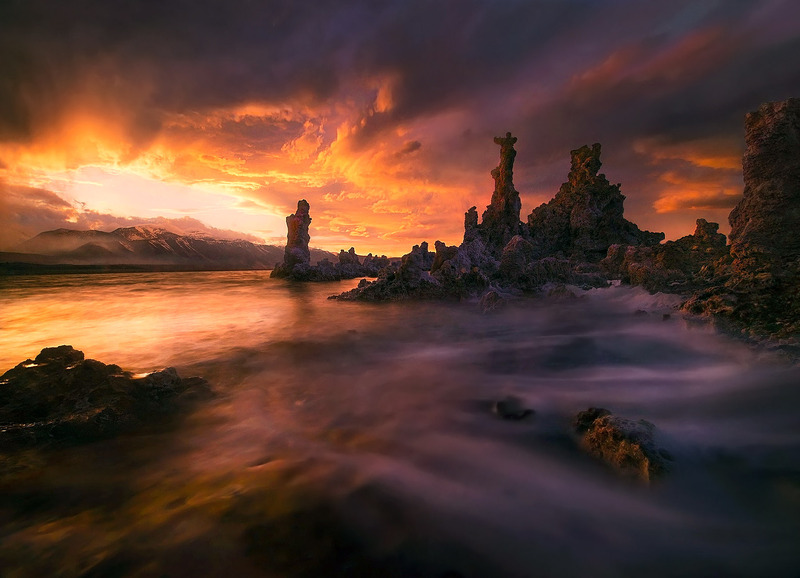 The best light show I ever saw at Mono Lake. On this evening, the storm was clearing and the surf was moving, creating the foamy streaks you see here in the foreground. Photo © copyright by Marc Adamus.